Roast curry leaves and grind. Roast cumin seeds, pepper, aniseeds, cinnamon, cardamom and nutmeg and powder them. 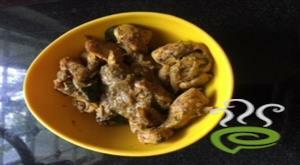 SautT onions, ginger-garlic paste, chilly powder and coriander powder and fry well. Add tomato and stir fry for few minutes. Add chicken, salt and turmeric powder. When chicken is almost done, add the ground spices powder and curry leaves. Very nice. Not much complex to prepare.. I got married recently. We tried this dish and it came out rocking!!!! It was too good, delicious and mouth watering. Myself and my husband enjoyed it thoroughly.. The recipe was good. 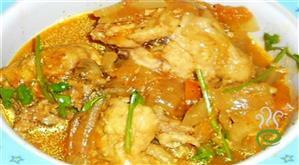 It gave a different taste from the normal recipes which you come across. keep posting more recipes. A nice change from the usual. 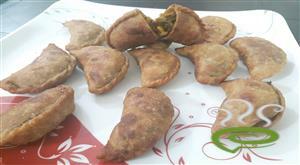 We love it with chapathi! Thanks! 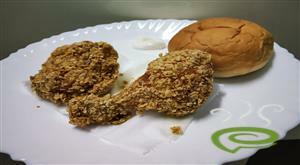 It`s very easy to cook & is mouth watering. I prefer peparing this to any other chicken curry since I tried your recipe. My husband just loved it. My husband loved it very much. Nice and spicy. Mouth watering recipe and easy too. I was bored with the usual way of cooking chicken and was desperately looking for a different style..and this one from you preciseley satisfied that intent! Little more labour involved but result is wonderful.. Thanks. Good taste..Since I dint had the tomatoes i added hot and spicy tomato sauce and it tasted bit more.thnx for the recipe. In one word - FANTASTIC!!!!!!! Hats off!!! Excellent recipe, I was not able to believe that I made it tooooo good. It was superb!! !Very spicy and mouthwatering.My husband ,friends and in-laws too liked it veru much.Thanks for such a good recipe.Do send more like this. Wow!!! My husband loved it!! He even started licking his fingers! Thanks! It was superb!! 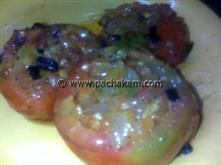 !Very spicy and mouthwatering.My husband too liked it veru much.Thanks for such a good recipe.Do send more like this. This perticular dish is my all time favourite,& first time i made with this recipei and it was dilicious. it has a different taste and we all loved it. a bit time consuming in preparation and i think tomato 1/4kg is enough. 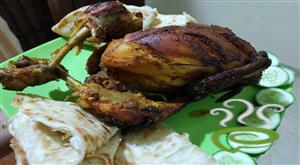 planning to prepare this for a party. The recipe was good only for a change from the usual. This was really wonderful pal. Superb in all sense. Absolutely awesome!! my hubby looooved it!! It came out really well. My friends loved it! 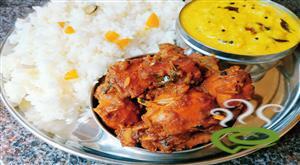 This chettinad style curry is really delicious and easy to prepare...my family liked it very much. Really good one! Tried it. Loved it. Thanks! Easy to make and very tasty! Enjoy! It was easy to make and came out good.